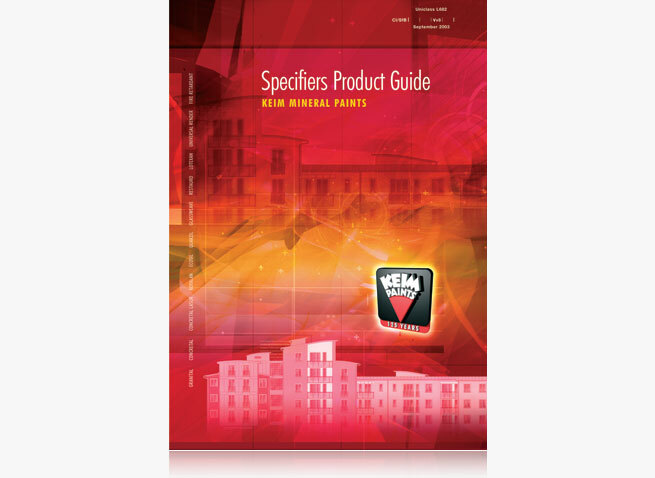 A very successful specifiers guide for Keim Mineral Paints. Very popular with architects and specifiers, packed full of specification and application details for all Keim products. An industry bible. 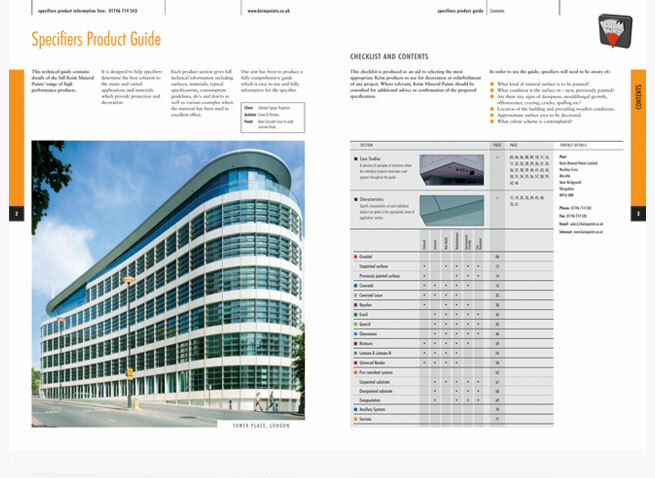 The first spread of this very successful specifiers guide for Keim Mineral Paints. Designed to appeal to the architect and specifier. Packed with facts and figures to help select the correct Keim products. 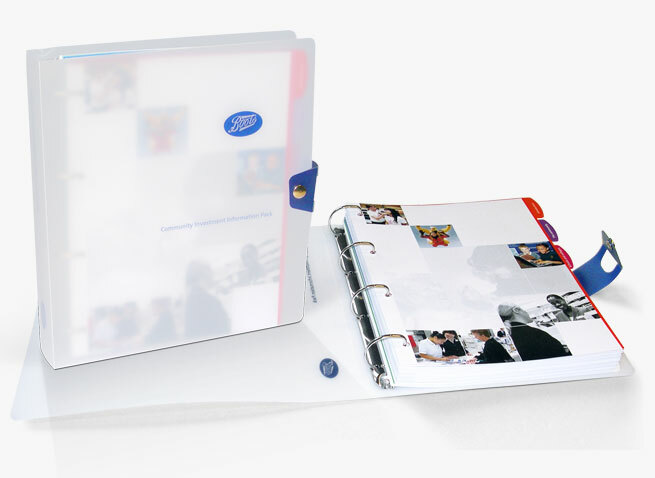 A comprehensive ring-binder folder with hundreds of pages of information. Used by Boots stores nationwide to inform store staff on the guidelines for community investment. An opaline binder with tabbed dividers and section pages. All 4-hole punched and boxed ready to send to every store. 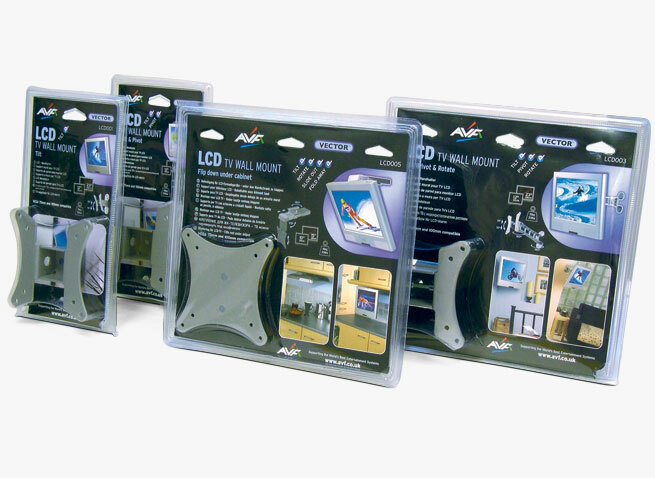 Just some of the packaging designed for AVF audio visual products. Seen in places like Comet, B&Q and Argos. 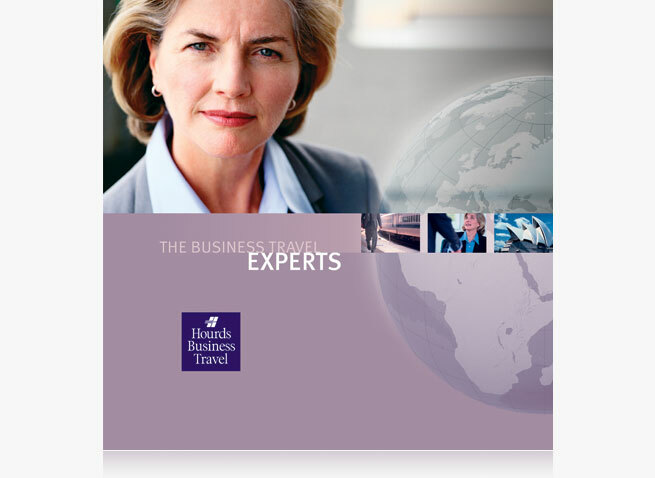 Service brochure for Hourds Travel. Outlining Business Travel services. Invite for customers of Lamborghini London and Manchester to the opening season party in London. 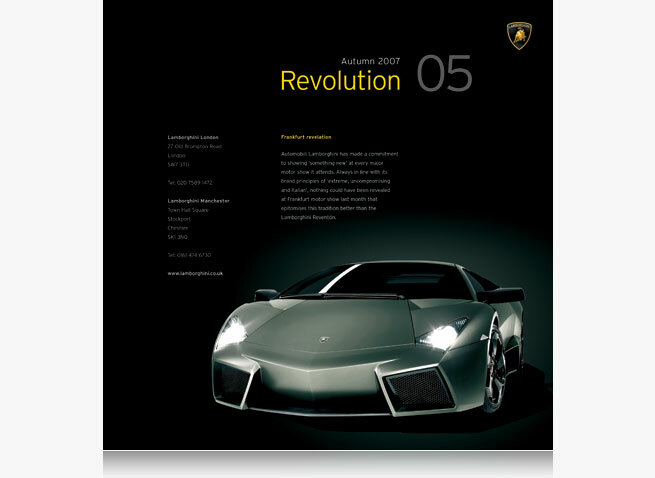 A regularly published magazine for Lamborghini customers. 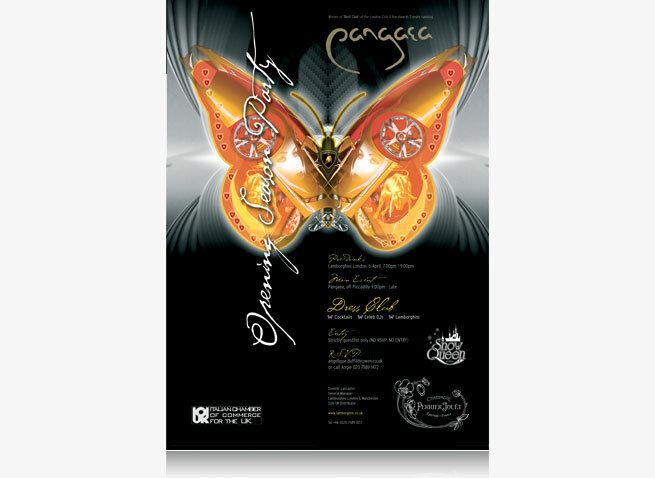 Worked alongside advertising and other direct mail pieces. 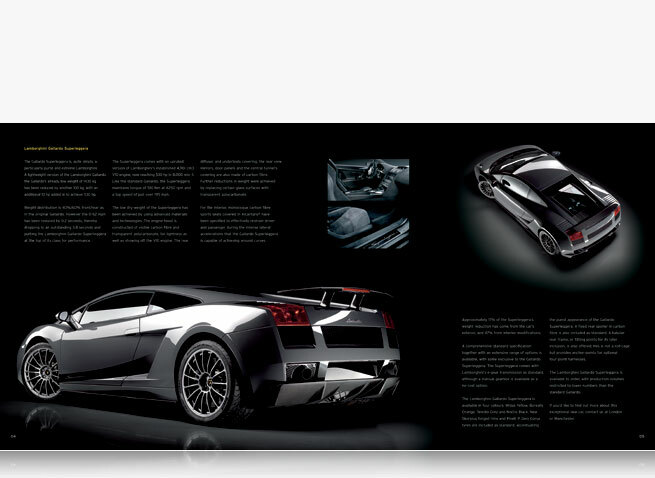 Inside spread from the magazine for Lamborghini customers. One of many automotive sector projects. 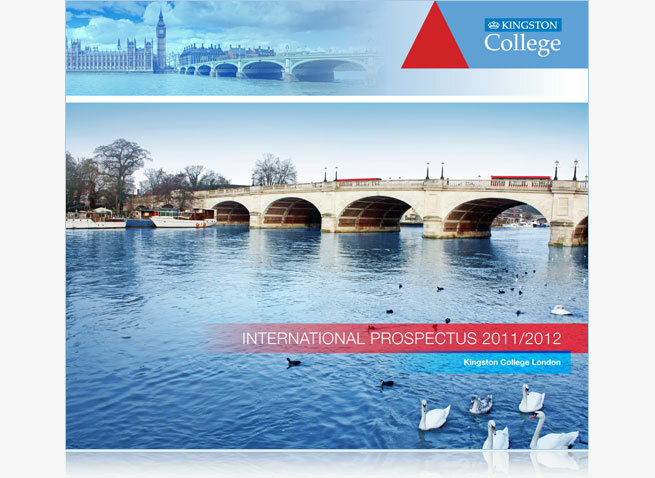 Latest international prospectus for overseas students coming to study at Kingston College. Careful consideration needs to be given to content and presentation for foreign markets.